Lucas concrete coatings and sealers are designed for high traffic applications. Products are offered in solvent, water-based and 100% solids two part formulations. Lucas traffic deck coatings may be pigmented and provide a durable waterproof surface to concrete structures. 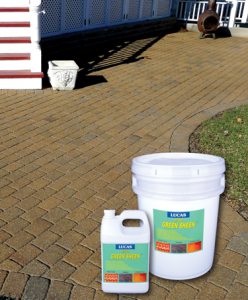 Penetrating sealers protect concrete flatwork and floors from damage by the elements and Lucas paver sealers do the same for hardscape applications while beautifying with a wet look and/or gloss.